I have the latest in technology to provide Virtual Reality tours for Google VR and Daydream. I shoot 360 Virtual tours that can include photos, floorplans, music, information hotspots and logo and branding. I provide professional property and interior photography and retouching as well as floor plans. 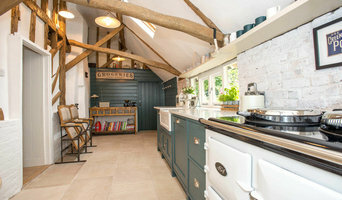 Emily is a professional photographer, specialising in interiors, venues, residential interiors, lifestyle and magazine. Her most recent clients are MADE.com, Forest London and Holborn Magazine. Emily delights in capturing the beautiful in the everyday and loves to do this within beautiful spaces and a wide range of environments. 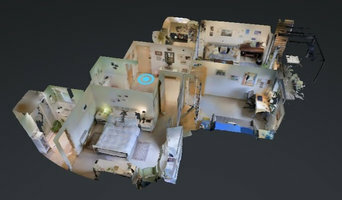 Using cutting-edge 3D and Virtual Reality technology to showcase unique spaces. Rosangela specialises in residential and commercial interiors, interior architecture and design, restaurants, retail and events, landscape architecture and gardens. Rosangela loves shooting interiors, loves challenges and loves keeping her clients happy. If you are planning to commission creative photography please take a look through her latest projects and hopefully the quality of Rosangela’s work will enthuse and lead you to a new commission. Thomas Stewart studied Fine Art at the Art Institute Of Chicago and the Rijksakadamie Van Beeldende Kunstun in Amsterdam before becoming a photographer. His Atmospheric photographs have appeared in Elle Decoration, House and Garden, Living Etc, Grand Designs magazine, The Sunday Times and The Telegraph to name but a few. 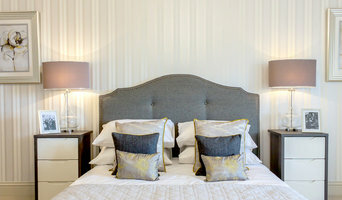 He has exhibited his work in Holland, Belgium, Germany and London and has worked on several books incuding titles for Kelly Hoppen, Jane Packer, Andy Sturgeon and Max Frazer as well as a Lighting and a furniture book for Conran. He regularly works for Interior designers such as Precious Mcbane and recent Architectural projects for Marta Nowicka&Co and Poulsom Middlehurst LTD.
We are a small, dedicated group of photographers and designers, providing beautiful architectural and interior photography, videos and 3D Walkthrough Tours for agents, architects and developers. We also produce neat and accurate floor plans and lease plans, Energy Performance Certificates, and Legionella Risk Assessments. All the elements needed to market and showcase property, whether beautiful or practical, are services that we offer. We are based in South West London, and currently work all over London and the Home Counties. If you would like to chat about how we can meet your needs, please feel free to email us at info@pixangle.com, or give us a call. I am a London-based photographer who loves combining interior and architectural photography with portraiture to create images that tell a unique story. I like to take a collaborative approach to my work so that the results are always insightful and personal. My clients include architects, magazines and design agencies, both from the UK and internationally. Richard is a professional photographer and Nikon Ambassador, specialising in wildlife, who supplies images for both private and commercial interiors. His work, which often favours dramatic use of light and contrast, has been awarded internationally in multiple competitions, including being named the European Wildlife Photographer of the Year. Through these recognitions, his images have been displayed in accompanying exhibits around the world, including London's Natural History Museum and the Smithsonian's National Museum of Natural History in Washington, DC. 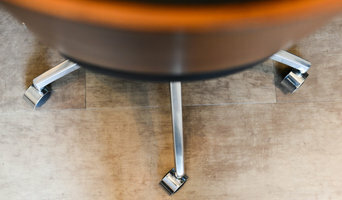 Dassler Photography specialises in photography for architects, interior designers, real estate, hotels and commercial spaces. Providing professional property, interior photography and 4K aerial videos and imaging with registered and insured drones. We have the latest technology to provide Virtual Reality tours and 360 Virtual Tours. We offer full range of services Dollhouse, Floor plan View, 3D tag post, Snapshots, Music and Logo. Based in London but work throughout the U.K and Europe. I got inspired to incorporate photography technique from the very best in the world in my own work. I am very easy to get on with, and we will be friends within 5 mins of meeting. That's what makes my business unique. ME! That is more important to me than how good I am at my job. My work speaks for itself it's me that you are investing in and what a smart investment that will be. I Provide top quality photography to all my clients and that alongside my personality is a guaranteed result for you and your project. Chris Cunningham is a talented photographer with a keen eye for detail, specialising in interior design, architecture and residential interiors. Chris has over 4 years of experience creating memorable images with a wide range of clients. Recent commissions include Harrods, Burbeck Interiors, L'Oréal, Knight Frank and PeroniUK. London and Oxfordshire based professional architectural photographer for hire. I am a specialist in the built environment, so whether the architectural space focuses on exterior or interior I can provide beautiful architecture photography of any location, building, design or industry related product. I work closely to the brief, and with you’re interior design team, architect, stylist or brand ambassadors to deliver high definition, high quality architectural imagery. My photos are used across all sectors including retail, hospitality, commercial units and offices and residential property.